Click here for cover versions prior to 1998. A SKA version was included on the soundtrack for the film "Baseketball" and also released on a 3 track CD-single in the U.S. The cover of the single features a yellow, green, blue and orange swirl with a shot of the band holding their instruments in the centre. "REEL BIG FISH" is printed above in large black letters with green and white outlines. "Take On Me" is printed in green letters with yellow outlines at the bottom. The disc is orange with "REEL BIG FISH" in silver, orange and black at the top plus the track listing and other text in black. The tracks are Take On Me (3:02), Alternative Baby (2:56) and Why Do All Girls Think They're Fat (2:22). The disc is made in the EU with copyright 1999. There was also a 2 track promo CD-single featuring the single and instrumental versions. The cover of the 2-track promo is pink with white "swirls" and light pink stars. The disc is black with pink titles plus additional pink stars. In 2002, Reel Big Fish released a 3 track E.P. in the UK which included "Take On Me". Click here for more details. The Norwegian professional panflutist, Roar Engelberg released the album "Har En Drøm". This album consists of panflute versions of well-known Norwegian hits. It includes a panflute version of "Hunting High and Low", in addition to 13 other instrumental versions. A three track CD by "Poor Rich Ones" featuring a cover version of a-ha's song "Hunting High And Low" was released in Norway. It features the tracks "Hunting High And Low" (4:32), "Clean And New" (4:44) and "Kindly Country" (5:59). There was also a promo CD of this release. The bottom two-thirds of the sleeve is light blue whilst the top is white. The title is written in black letters over the white section, with the title underneath in white letters over the blue section. An additional white curved line is printed round the bottom and left sides of the blue section. The reverse of the insert is mustard coloured with white titles and another white curved line. The back insert is white with a blue curved line and titles. Pearl released a pop / rock version of "Take On Me" in Norway. It was available on a Dutch made three track CD-single: "Take On Me" (Radio version) (4:08), "Take On Me" (Club Mix) (5:17) and "Take On Me" (Extended version) (5:59). The 16 track album by Edyta Górniak includes a techno cover version of "Hunting High And Low" (track 5). The cover features a head and shoulders shot of the artist lying down. The title in white is printed above. This 14 track live album by Edyta Górniak includes a live version of "Hunting High And Low" (track 10). The cover is black with a picture of the singer wearing a red outfit, bent over and holding a microphone. The artists name in white and the title in red are printed across the sleeve. Edyta Górniak realeased the single "Hunting High And Low" in 2000. No further details. Edyta Górniak live '99 EMI ? The track "(Seemingly) Nonstop July" is included on an album titled "Train Of Thoughts" by German independent-electro-pop-band "Dark Voices". A dance version of "The Sun Always Shines On TV" by Ellen Lu Trelle. The cover shows the sun rising / setting over the water. The title in red letters is printed in the top left hand corner with "Includes: Red Rhythm House Mix" below. The band's name is printed in white on a dark yellow strip at the bottom of the sleeve. There was also a 12" released. 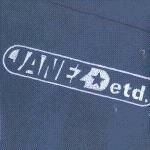 The Belgian rock band "Janez Detd" released a 3 track CD single featuring a cover version of "Take On Me". The cover of the single features a picture of the band with red titles printed over the picture at the bottom of the sleeve. The actual disc has been made to look like a purple vinyl with red disc label. Janez Detd included their cover version of "Take On Me" on their new album. The sleeve is dark blue / grey with the band's name in white printed diagonally across the middle. 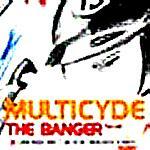 The Norwegian rap duo Multicyde have used samples from "Take On Me" in their single called "The Banger (La La)". The cover is white with a sketch drawing of a man, taken from a-ha's cartoon video for "Take On Me". The titles are in large orange and red letters at the bottom of the sleeve. Norway The Banger (La La) Warner 857 383 691 2? 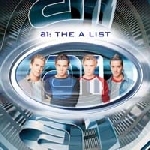 The boyband "A1" released a cover version of "Take On Me". Two different CD singles plus a cassette single were released in the UK. Disc 2 features different mixes of "Take On Me" plus the video for their single. The single went to the top of the charts in the UK. The single was released in many European countries and also in Australia. "Take On Me" was also included as track 1 on A1's album "The A List"
The album "Quiet Is The New Loud" by Norwegian duo "Kings Of Convenience" includes a limited edition bonus disc which features a cover version of a-ha's "Manhattan Skyline". The cover shows a picture of the two guys, sitting outside, one of whom is comforting the woman sitting next to him. The Single "Winning A Battle Losing The War" by "Kings Of Convenience" features a cover version of "Manhattan Skyline" (4:16). There were two slightly different singles available in the UK. One comes in a digi-pak, the other in a wallet sleeve. The wallet sleeved single features the radio edit of the title track and mentions on the spine that it is an edit. Apart from that, the track list is the same and confusingly, it is listed in reverse order. The sleeves of both singles are almost identical; white with a black and white picture of the guys at the bottom with the title in black and yellow text above. The Norwegian girl group "Spin-Up" recorded a cover version of "The Sun Always Shines On T.V." which was included on their 12-track album "Heart Arrow Star". "The Sun Always Shines On T.V." is the last track on the album. Heart Arrow Star Tribe Records/Sony Music ? This cover version of Take On Me (3:41) by German hardrock band "Emil Bulls" was released in Germany and Australia (4 March 2002). The fold-out cover is black with cartoon drawings of angels and a devil. "Take On Me" is glowing yellow in the background with the Emil Bulls logo in orange above. The one track promo has a similar cover, but with "For promotion only!" printed underneath the cartoon. The disc is black with yellow text. Reel Big Fish released a 3 track E.P. "Sold Out" in the UK. It includes the Reel Big Fish track "Sell Out" (3:47) and two cover version's: a-ha's "Take On Me" (3:02) and Duran Duran's "Hungry Like The Wolf" (3:39). The cover features a black and white picture of the band standing in front of a wall. The top section of the sleeve is light pink with the title in white and red. The disc is black with a white rim, the yellow fish logo at the top and silver text below. The Canadian band "The Supers" released the album "Mystery On Pop Mountain" on Tri-Pop Records. It features a mellow country-tinged interpretation of a-ha's "Take On Me". The cover is a "Hardy Boys Mystery" book parody (complete with the crease of any well-read book down the left-hand edge!). The three band members are pictured (Maury, Graham and Tim). The Belgium dance duo Milk Inc. have released a dance version of The Sun Always Shines On TV. The cover of the single is yellow with a shot of the duo at an angle across the middle. The Milk Inc. logo is printed towards the top right hand corner of the sleeve. The single has been released in Belgium and the Netherlands. This EP features a heavy version of "The Sun Always Shines On TV" and was released in Denmark. 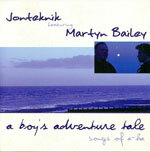 The cover is grey with a red and white spikey logo in the centre. "Susperia" is printed in white at the top with "Devil May Care" at the bottom. The disc is of similar design to the front cover. In March 2007, the German band / project "Rainstorm Project" released their album "Purple Eyes" which features a cover version of "Scoundrel Days" (track 7). An edit version of the song can also be found on the radio promo single with the track "Lovesong". The promo single was released all over Europe, Japan and Brazil. The cover of the album features two pieces of a jigsaw puzzle with a picture of an eye on each. The Icelandic opera singer Gardar Thór Cortes released a classical rework of a-ha's "Hunting High And Low" on 23 July in the UK. 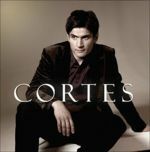 This song was also included on the 12 track album "Cortes" on 16 April 2007. "Hunting High And Low" is track 2 on the album. The cover of the album features a shot of the artist sitting down with the title printed in large white letters across the centre. 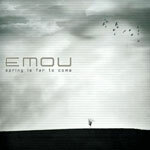 This 9 track album features covers by German producer "Emou" (Mario Reinsch) which includes an electronic version of a-ha's "Scoundrel Days" (track 4 - 6:32). The cover features a shot of birds flying against a grey sky with a small lonely tree at the bottom. The titles are printed in grey and black on the left hand side. This eight track album features only cover versions of a-ha tracks (The Sun Always Shines On T.V. / Lifelines / Living A Boy's Adventure Tale / Manhattan Skyline / The Blue Sky / Hunting High And Low / (Seemingly) Nonstop July / Stay On These Roads) and was limited to 100 numbered copies. It comes in a jewel case with a 4 page colour booklet and photography postcard. The cover is white with a blue tone shot of the coast with a small inset picture of the artists facing each other, one of whom is in a Morten Harket pose. The artist and title are printed in shades of blue above and below the picture. The booklet and back sleeve feature more a-ha-esque pictures of the artist. The disc features a picture of a purple sea anemone. 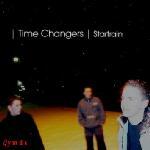 Hunting High And Low - included on the album "Startrain" by "Time Changers". The album has not yet been released. 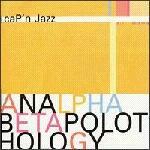 Take On Me - by "Cap'n Jazz". Take On Me - by "Acapella". Take On Me - dance version by "Cheryle Curtis". Take On Me - by "Eternal Sadness". Take On Me - techno version by "Intrance". The CD features 3 remixes of the song (851-639-2 - Urban Motor Music). Take On Me - by "Machine Head". Take On Me - by "Nyxeria". Take On Me - by "Rockapella". Take On Me - by "The Generics". Take On Me - dance version by German band "VM-18". 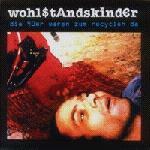 Take On Me - by "Wohlstandskinder". Take On Me - by "You Were Spiraling". The Sun Always Shines On T.V. - by MarioLopez. The Sun Always Shines On T.V. - gothic version by "Manuskrypt". The Sun Always Shines On T.V. - by Re4mation. Manhattan Skyline - By "The Tunics". 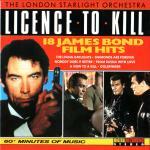 The Living Daylights - by The London Starlight Orchestra, found on the album "Licence To Kill" featuring 18 James Bond Film Hits. The Living Daylights - dance version by K2, found on the album "An Electronika tribute to James Bond" (Hypnotic records).